A long time fan of this Swiss melodic techno star, I was expecting great things from his new Balance 20 release and I wasn’t disappointed! The continuing success of the Balance series CDs owes something to the choice of artists they pick to mix the albums as well as the choices the mixers make themselves. 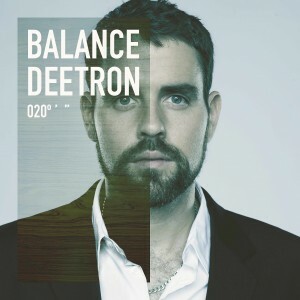 Their latest issue, Balance 20 mixed by Deetron is no exception. This is quite a body of work with over 50 amazing tracks on the CDs. What’s evident here is again (testament to Deetron) the perfect blend of music; artists and tunes crafting a truly musical experience. There is literally, something here for everyone from dark drum-driven techno to the beautiful and melodic to upbeat and house-y. These CDs are equally at home on the dance floor at 2am, loft space at 6am or a long afternoon drive. Deetron has assembled a who’s who of artists from Mathew Jonson to Andy Stott; Villalobos to Mike Dehnert. Some of whom I know, some not. Tracks that stuck out for me were the beautiful and incredibly danceable ‘Coreshine Voodoo” by Lone. With a quick twist, Avus “Reality Itself” brings us into the world of electronica – submersed as you are, by haunting synths and dubbed vocals. But there isn’t any one track that jars here (Nicolas Jaar features too with the fabulous “Space is the only noise if you can see”). It all flows beautifully, effortlessly together to make a completely satisfying aural journey. Definitely one of my favorite Balance albums so far. Released in the US Nov 8, 2011. Don’t miss this! !